Today, we went to the site of the Canal du Nord. The Canal du Nord is where Arthur Currie led the Canadians across the then empty canal basin in September 1918 as part of the Battle of Arras. Before the attack, the Canadians hid in the local woods and the town before attacking the village. The Canadians needed to be fast to breech the canal and to subsequently cross it. After the canal was taken, the engineers needed to build bridges for the artillery to cross the bridge. Our tour groups leaders showed us a map from 1918 which depicts the objectives and explained to us the direction of the Canadians, the 1st Division heading left, the 4th Division headed to Bourlon Wood, the 3rd Division going toward Cambrai, all while the 2nd Division is in reserve. These soldiers here fought alongside a British Core who were to go South of Bourlon Wood. A memorable moment was when one leader demonstrated where the troops went using que cards and marks in the sand along the bank of the canal. This proved to be helpful in clarifying the direction of the troops. 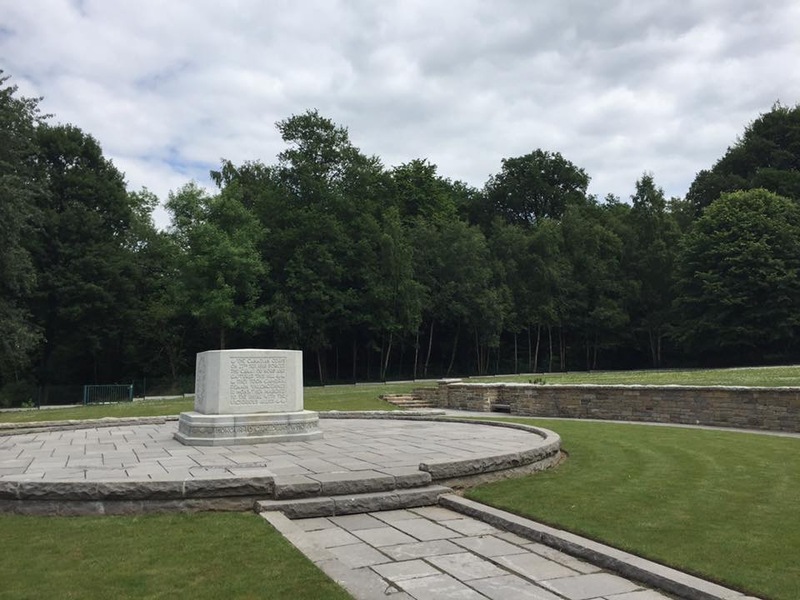 One of the most interesting parts of this trip is having the opportunity of experienced tour guides who know are extremely knowledgeable on both of the world wars. The insight that our leaders provide us with about tactics, logistics, facts about the battles, and information about the soldiers. This is definitely an important aspect of this trip. 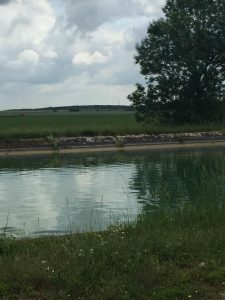 Today was interesting for me particularly because I had the opportunity to finally see the Canal du Nord as well and Bourlon Wood, the latter of which I had a presentation on today. Being at the location of the battle and listening to the tour leaders describe the finer details of the battle really is an emotional experience. Standing at the exact location where 100 years ago at that very spot was war and carnage all around allows me to reflect on the sacrifice they gave for the freedom we enjoy today.